Manage and ensure accuracy and relevance of all related Corporate Security Standards, Policies, Procedures & Processes pertaining to corporate security and related operations. Includes the development of appplicable corporate security policies specific for Vodacom Tanzania. -Emergency Preparedness – Ensure evacuation plans for Vodacom’s premises and buildings in case of natural disasters, fire and threat of fire as well as bomb threats have been developed, tested and implemented. -Fraud Management : Ensure the adoption, implementation and monitoring of standardised fraud management processes thereby ensuring that fraud losses are minimised. -Due Dilligences: Assist in due diligence processes to perform risk assessments of vendors and partners, when requested. Security Awareness: Ensure the roll out of an effective and valued level of Fraud & Security Awareness within Vodacom Tanzania which communicates the requirements and activities necessary to ensure that there is strong protection of the businesses staff, assets, revenues and reputation. -Investigation Management – Evaluate and complete investigations into all reported allegations of fraud & crime affecting the business and liaise accordingly with other agencies such as the Police etc to ensure all necessary and lawful requirements are met. Provide timely and relevant recommendations to the business in regards to any issues identified including disciplinary / criminal action. -Proactive Fraud & Crime Reviews – Plan and complete reviews of business operations and activities which present a risk of potential fraud & crime activities and provide recommendations to mitigate these risks to the business. (Threat Analysis). 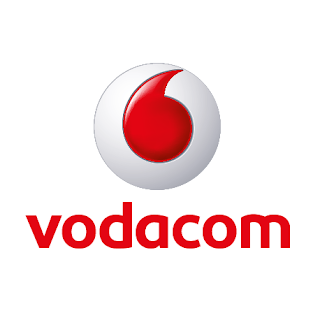 -Business Conituity: Ensure compliance to the required standards set out by Vodacom Group. This include reviewing of Technical Recover plans, roll out of any resilience policies, ensureing required off site facilities availabe, and other areas as to ensure a high level of Business Continuity management. -Risk Management: Ensuring that the Vodacom Group ERM policy is implemented and complied to. This will include ensuring the required risk assessments are updated and the compilation of the required reports to the risk management committee, audit committee and any other committee as required. -New business risk management: Ensure risk assessment is conducted on all new key services or products before launch as per the Vodacom Group requiremetns. -Key stakeholders and Contract: Managing of key statkeholders and contracts in regards to Coporate Security to ensure delivery as per SLA with specific focus on Security Service providers. Constantly implement and improve controls and checks in areas of RA&FM (MOBILE MONEY & GSM). • Monitor bill payment/collection and fraud if any by multiple checks and balances in the system. • Continuously work to understand and mitigate losses to ensure the highest levels of loss avoidance and reduction. • People management: Recruit, retain, train, supervise and motivate the team at all levels of the department. • Build the Knowledge Management of the department in terms of RAFM practices, processes, activities through systematic written and digital documenting. • Develop and document metrics/testing/monitoring methodology and strategy and review it frequently using TCG or manual testing. · Ability to manage people. · 7-10 years of RA FM experience. · Strong knowledge of G2 system is a plus. · Knowledge of governance processes is good to have. · An understanding of Telecommunications sector will be an additional advantage. · Being qualified as a Certified Fraud Examiner will be an additional advantage.